Now that the weekend is here, we have a bit of free time to wind down and catch up on the news of the week. You can click here to learn about all the serious stuff. This list, however, focuses on headlines with a trace of bizarreness. This week, mathematics gets a fair bit of attention, both good and bad. There are a few strange stories involving animals and new discoveries made regarding old places. And let’s not forget a great moment in firefighting history. Daring thieves were particularly active this week. First, the Swedish crown jewels were stolen in a brazen speedboat heist. Then, a villain purloined the most prestigious award in mathematics just minutes after it was awarded. On Wednesday, the International Congress of Mathematics took place in Rio de Janeiro. 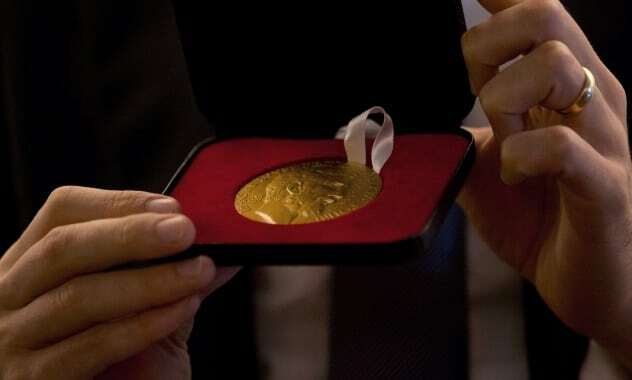 Among the events that occurred was the granting of the Fields Medal—a distinction informally referred to as the “Nobel Prize of mathematics.” Four people received it. Among them was Caucher Birkar, a Kurdish refugee who now teaches at Cambridge University. However, he didn’t have time to admire his trophy. Someone stole it half an hour after he won it. Birkar left his medal in his briefcase on top of his table at Riocentro, where the event had been organized. The thief absconded with the briefcase, which was later found under a bench, minus the Fields Medal. Police have already identified the criminal using security footage, but it remains to be seen if they will be able to recover the prize. 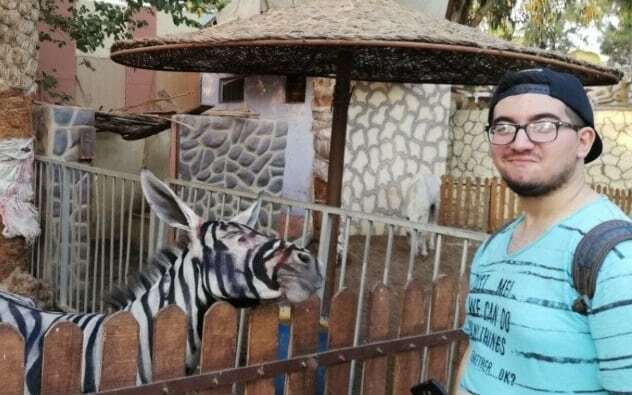 A zoo in Egypt has been mocked for painting a donkey to look like a zebra after a picture of the animal taken by a student went viral on social media. Last week, Mahmoud Sarhan visited the International Garden in Cairo. At the zebra enclosure, he noticed that the animal looked more like a donkey despite the black and white stripes. He took some pictures of the counterfeit zebra, which made their way online. Animal experts pointed out that there were many clues which indicated that the creature in the photos was not a zebra. It had long, pointy ears, a gray snout, and a small frame. Worst of all, some of the black stripes were smudged. A similar thing happened in 2009 in Gaza when a zoo couldn’t get real zebras through the Israeli blockade. However, that zoo owner admitted to painting the donkeys. Cairo zoo director Mohamed Sultan still insists that his animal is not a fake. Southend Pier, a major landmark of Southend-on-Sea and the longest pleasure pier in the world, faced a potential crisis last Friday when a small portion of it caught fire. 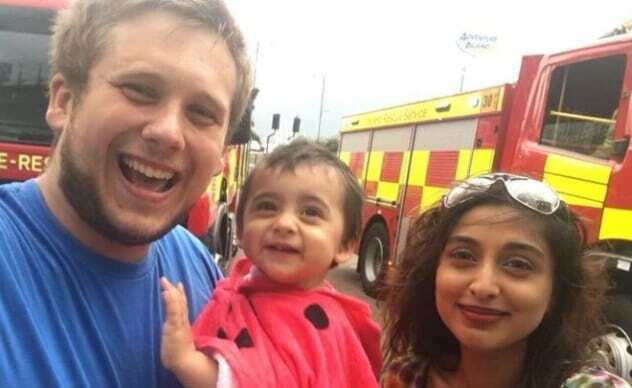 Fortunately, local hero Thomas Watson was there to put the fire out by peeing on it. Watson was visiting the pier with his partner and daughter. According to him, the weather had turned, and they were the last people there. He noticed flames and a lot of smoke coming up from underneath the wooden planks. His partner called the fire service, but fearing they might arrive too late, Watson decided to take matters into his own hands. By the time the emergency crew showed up, the fire had been completely extinguished, leaving only a bit of charred wood. The local council thanked Watson for his “quick-thinking tinkling,” although it also expressed confidence that the sprinkler system could have handled the “miniature inferno.” That being said, the Southend Pier was severely damaged by a blaze back in 2005, so who can say for sure what the consequences would have been if Thomas Watson hadn’t been there with valiant determination and a full bladder? 7 Do Spiders Like Colors? A new study from the University of Cincinnati (UC) seeks to answer the age-old question—what is a spider’s favorite color? The assumption used to be that arachnids, which have dichromatic vision, paid little attention to colors. However, a recent discovery showed that male peacock jumping spiders proudly show off their gaudy tones in courtship displays and that the females respond to the bright colors. 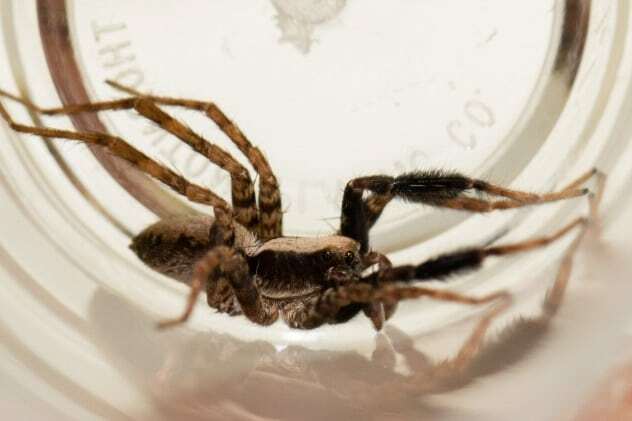 Based on this, biologists at UC wanted to see if the ability translated to more drab species such as the wolf spider, which only has muted brown and tan hues to display. Researchers took lab specimens and showed them footage of courting arachnids where they manipulated the color and contrast of the video. They found that female wolf spiders respond to color more than grayscale but, overall, react to intensity most of all. Videos where the male spiders sharply contrasted with their backgrounds garnered the strongest responses. Most surprisingly, color also influenced “eavesdroppers”—male spiders who watch and mimic others to learn courtship displays. They paid closer attention to the spiders with more intense coloring. North American scientists from Harvard and Dalhousie Universities used stylometry to determine if John Lennon or Paul McCartney wrote some of the most successful Beatles songs in history. One of the most successful writing partnerships in music history, Lennon and McCartney established early on in their careers that they would both receive credits on the songs they worked on. After the Beatles split, however, they began giving differing accounts regarding their contributions on certain tunes. For example, McCartney said Lennon only provided “half a line” to the lyrics of “Eleanor Rigby,” while the latter claimed to have written 70 percent of the song. A mathematician and a statistician with a common passion for the Beatles teamed up to try to settle a few disputes using stylometry. This is the application of the study of linguistic style, most famously employed to identify Ted Kaczynski as the Unabomber. The scientists first decomposed all Beatles tracks between 1962 and 1966 and identified 149 constituent components ranging across five categories. They also broke down the songs into “contours”—four-note melodic sequences consisting of series of “ups,” “downs,” and “stays the same.” They then established a baseline using 70 tracks where the authorship was firmly certified. 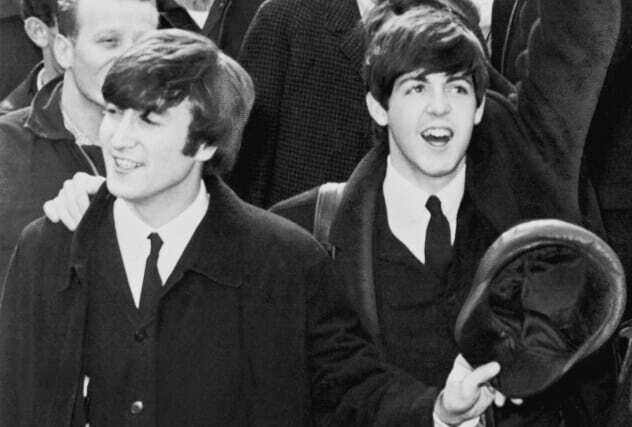 Although they didn’t formulate results for all disputed songs, the mathematical duo concluded that there was only a .018 probability that Paul McCartney wrote “In My Life.” Ranked by Rolling Stone magazine as the fifth best Beatles song and 23rd greatest song of all time, “In My Life” caused controversy, as both Lennon and McCartney claimed authorship of the melody. 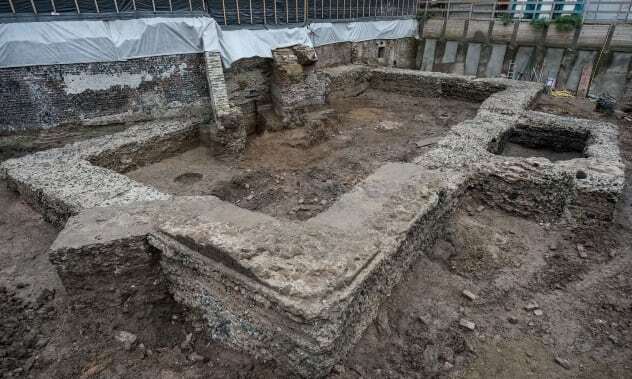 Excavations for a church in Cologne uncovered an ancient library which might be the oldest building of its kind in Germany. The structure dates to between AD 150 and 200 and could have once stored up to 20,000 scrolls. Archaeologists first realized there was something there in 2017, when construction began on a community center for a Protestant church in the middle of the city. They initially believed the area used to be the site of a public assembly hall, but they reconsidered after making a “mystifying” discovery. The ancient walls had niches, roughly 80 by 50 centimeters (30 x 20 in). They were too small for statues but perfect for cupboards used to store scrolls. Dirk Schmitz, head of the Cologne archaeological monument authority, says the wall niches are identical to the ones found at the Library of Ephesus in modern-day Turkey. He also believes that, since the building had a central location in the forum of Roman Cologne (Colonia back then) and was made of strong materials, it was a public library. The current plan is to continue construction on the community center while preserving the walls and making them accessible to the populace. Researchers recently announced what they believe to be the first sighting of a hybrid between a melon-headed whale and a rough-toothed dolphin. The animal (shown in the foreground above) was spotted in August 2017 in the waters off Hawaii and could be just the third confirmed case of a wild-born hybrid from the Delphinidae family. The creature is a male and believed to be close to adult age. 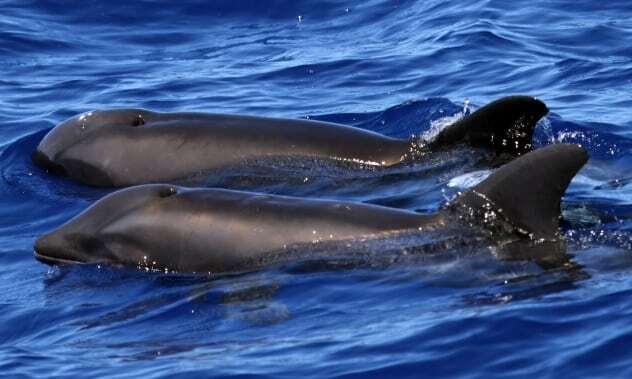 One of the study’s authors, Robin Baird, biologist with the Cascadia Research Collective, urged the public and the media to avoid calling the animal a “wholphin.” Besides being utterly predictable, it does not make sense, as the melon-headed whale is, technically, a dolphin. Therefore, the creature is a hybrid between two species of the same family, and the “wholphin” moniker would only confuse things further. Scientists are unsure how the hybrid came to be but think it is likely that a melon-headed whale got separated from its group and joined up with a pod of rough-toothed dolphins. A departures hall at Paris Orly Airport had to be temporarily closed following a fight between two French rappers named Booba and Kaaris and their entourages. There was a time when the two were close friends. However, the French rap stars had a falling out in 2013 and have been rivals ever since. Recently, both men were scheduled to perform concerts in Barcelona and met one another while waiting for their flights. What started as a verbal confrontation soon turned into an all-out brawl. Booba, Kaaris and multiple members of their entourages started sparring in the cosmetics section of a duty-free shop before their scuffle spilled into the waiting lounge. Some of the passengers ran for safety while others pulled out their phones and filmed the skirmish. Police detained eleven people involved in the brawl for questioning. A few flights experienced delays between 15 and 30 minutes. Booba’s lawyer claimed that his client was ambushed and only defended himself, while Kaaris’s camp said a similar thing. Nobody has been charged yet, but the numerous videos should make it easier to determine who is at fault. The Bermuda Triangle is in the news again thanks to a documentary which claims, like many before it, to have solved the mystery of the deadly patch of water stretching between Florida, Bermuda, and Puerto Rico. The show presents a study by oceanographers at the University of Southampton who consider rogue waves to be the culprits responsible for some puzzling disappearances inside the Devil’s Triangle. The bigger question here should be if there is actually anything special about the Bermuda Triangle at all. No official geographic or oceanic organization acknowledges its existence. Scientific inquiries into the phenomenon reveal that numerous incidents ascribed to the triangle are either exaggerated, unverifiable, or easily clarified through humdrum explanations such as human error. That being said, there are a few perplexing disappearances, such as the USS Cyclops, that lack a definitive explication. The ship was lost at sea in 1918 with a crew of 309, leading to the largest noncombat loss of life in US Navy history. Study leader Dr. Simon Boxall believes a rogue wave was responsible for its sinking. His team built a model of the USS Cyclops and simulated the effect of a 30-meter (100 ft) wave, showing that it could snap the ship in two and sink it within minutes. 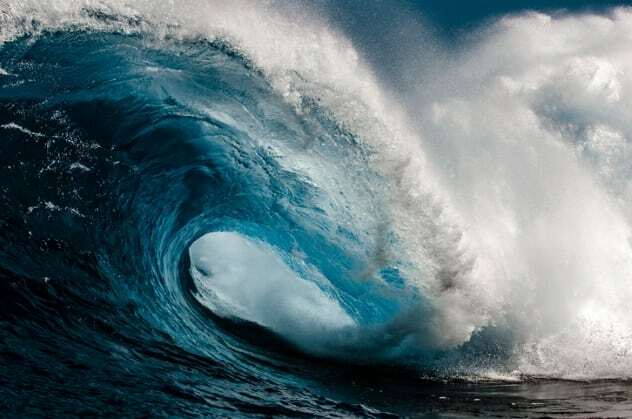 For centuries, rogue waves were considered myths perpetuated by superstitious sailors. It wasn’t until 1995 that we confirmed that this legend was, in fact, true. Since then, these monster waves have been regarded as likely explanations for many ships that disappeared without a trace. 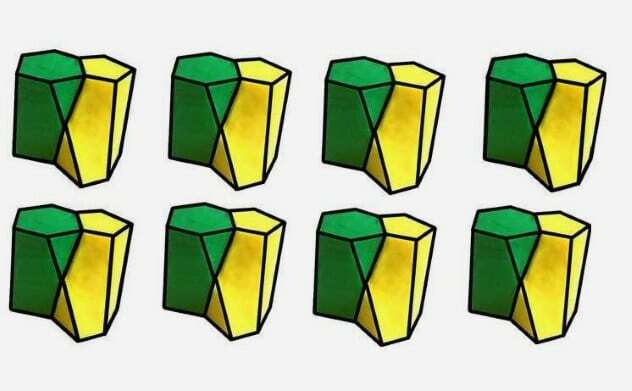 An international team of scientists introduced a new geometric shape which is probably found all over our bodies. They named it a scutoid since it resembles part of a beetle’s shell called a scutellum. Their study, published in Nature Communications, ran simulations to find out how epithelial cells are packed together to form human skin. Since our bodies aren’t a flat surface, traditional shapes such as cubes, prisms, or columns couldn’t really create an air- and watertight seal. That’s how they got to the scutoid, which resembles a five-sided prism where one diagonal face is sliced off at one end to create a sixth side. That way, scutoids can be packed together tightly and create curved surfaces without breaking apart. Of course, just because their computer simulations predicted it did not mean that this geometric shape existed in nature. The next step was to actually find it. Scientists discovered scutoid-like shapes in the epithelia of zebrafish and the salivary glands of fruit flies. They are confident that scutoids are present in many other creatures, including humans. As far as practical applications are concerned, the discovery could prove useful when growing artificial organs. By creating a scaffold which encourages the packing of cells in such a manner, it replicates the most efficient tissue development found in nature. Read more offbeat stories you might have missed from July 28, 2018 and July 21, 2018.